One of my friends had said to me before my journey that “Halong Bay, not simple only a land. Also a colorful adventure”. 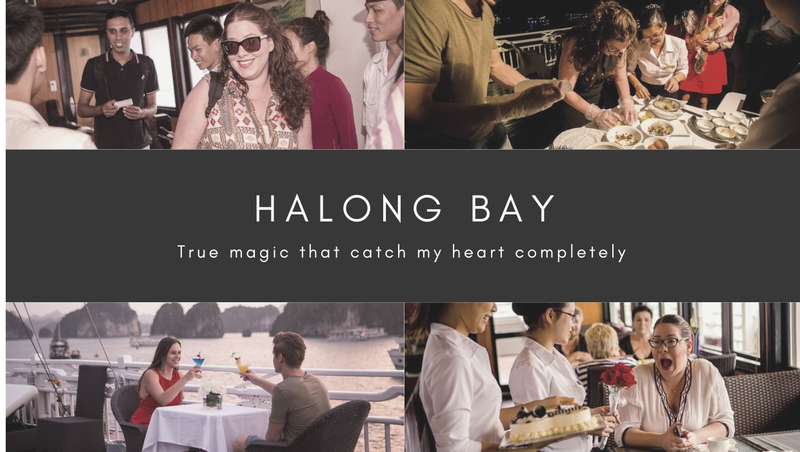 Agreed with her, Halong Bay is an authentic flavor of magnificent charms on every single side. Its own beauty are came from the picturesque of both almost 3000 islands, islets, caves with floating villages. And now, with exciting 3 days Halong Bay cruise overnight on this beautiful bay, I was well-understood that. Companioning with me is Syrena Cruise - a recommended choice from my family network. Built in traditional Oriental style but still full of modern luxury, the experience in Syrena Cruises really exceeded my expectation. With the warm attitude and professional skills. The team never let me disappoint on any services. The first distinguished made me revel is cabin covered by 100% by wood. In traditional handcrafted style and lavish warm feeling. These wooden panels were arrangement delicately and gently as them still one such block. Mixing with the large clear glass wall, the cabins look as a small sunny-flooded bungalow in Atlantic Ocean. But now, in surrounded by tropical magnificent scenery of Halong Bay. In room, original Vietnamese handcrafted wooden pattern play the main roles on décor theme, bring the bold of cultural and nostalgia feeling. But if you think it is old fashioned and poor, you are absolutely wrong. All the modern and high quality amenities were set up fully to ensure the most convenient life in boat. You never lack anything in that except energy for enjoyment. But the place I spend most of my time is on public zone with restaurant, bar and sundeck. The Lotus restaurant having an endless list from local and international cuisines. I seemed to be lost in the aromatic and delicacy of both worlds. With the bold locally traditional and elegant atmosphere. There were many presentations and meetings, parties, weddings taking place in here. Actually, in the first time saw, i had a thought that this land was an ideal place to host my dream wedding. Beside the large sundeck is the styled bar lounge with impressive variety of beverages and snacks sourced from local. One of the most magical thing I found when come to Halong Bay is the time playing with sunny when reclining on soft chair of sundeck and sipping a glass of favorite drink in the middle of fresh and poetic scenery. 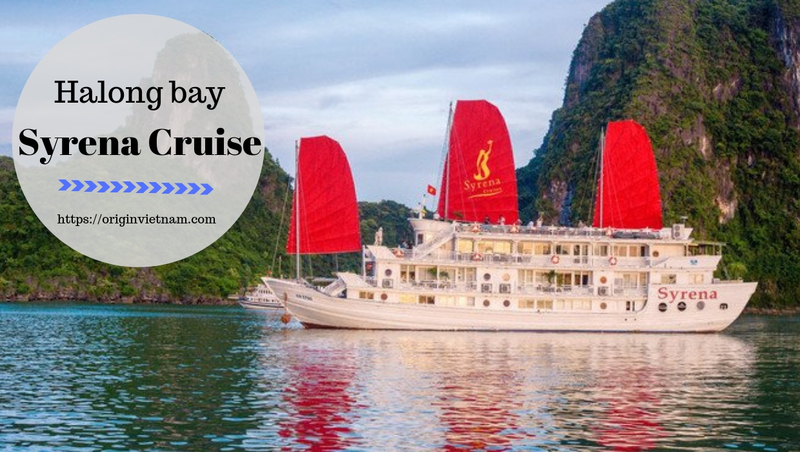 And should be full of experiences with combo dawn and sunset on Bay, you will completely understand why Halong Bay was so wonderful like that. Do not worry about others things as the safety or suitable time. Because all the staff always available in receptionist desks with warmest attitude and most professional skills. I felt was pampered with every requests in whole of journey. My journey with Syrena Cruises was 3 days 2 nights trip, not too long, but enough for me to fall deeply in love with the magnificent view on this millions years old bay. Day 1: I was picked up at Tuan Chau Harbour, after warmed welcoming time, my journey official started. The first destination is Sung Sot Cave, the largest and most famous cave of Halong Bay. And the fact that, it was the most amazing thing I have seen in my life. Inside of cave, the majestic paintings of stalactites creation is following one by one together in a wonderful way, satisfy any art-love eyes. After that, the tender with lovely honest rowing man took us to Ti Top Island. It's one of the most quiet and fresh beach of Halong Bay. I had an unforgettable time with Halong Bay kayaking service when going into the heart of ocean and exploring impressed coral reefs hidden under emerald water lane. Day 2: My second day was the full day to discover Lan Ha Bay. Beside the beauty of Ha Long we have chance to visit the area of poetic scenery and exciting local life. From the journey to visiting Dark and Light cave by kayaks or bamboo boat. It's amazing experience that you only have in Halong to Halong Pearl Farm. That is the best way for exploring the charm in skillful art working job through hundred years of honest residents live in here. Day 3: It was a great day to visit Luon Cave by bamboo boat. But luckily, I got more insights about other charm that i haven't had chance to touched with stories of staffs - the super enthusiastic unofficial tour guides of this land. Saying goodbye to Syrena Cruises, I promised with myself that. I would continue this wonderful and satisfied time in next vacation. Throughout Syrena Cruises, I found my true indulgence. 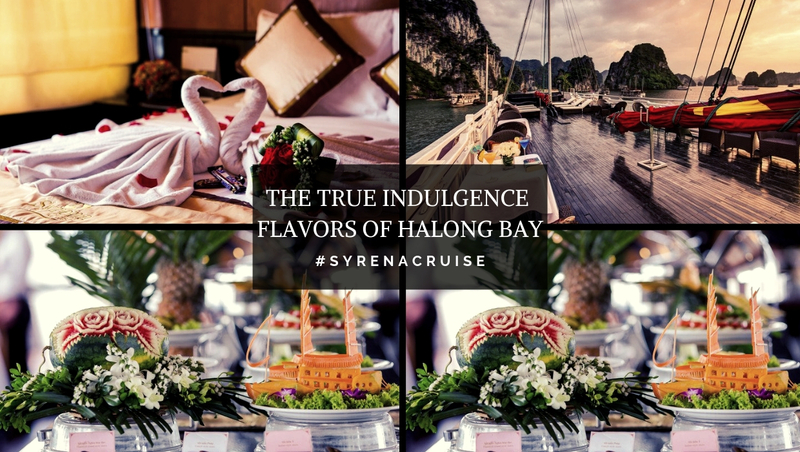 Let be a part of Syrena Cruises on Halong Bay by connecting with Origin Vietnam at https://originvietnam.com. Let come and find your true passion!